Oribe's 'Gold Lust Transformative Masque' is designed to nourish and condition tired hair that has been damaged by styling and processing. The brand's signature complex – Watermelon, Lychee and Edelweiss Flower extracts – defends hair from environmental stresses and provides UV protection, while White Tea Leaf, Jasmine and Baobab Oil soften and smooth. 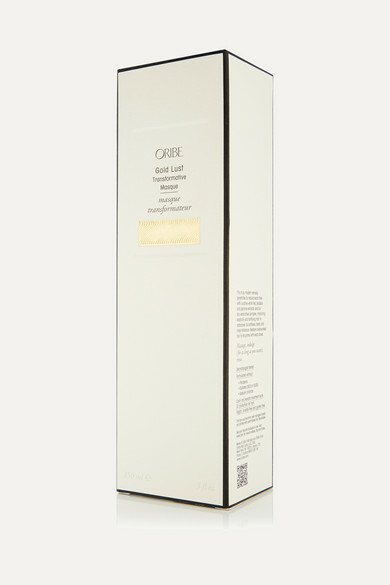 Formulated without parabens, sulfates or sodium chloride, it's color and keratin treatment-safe.